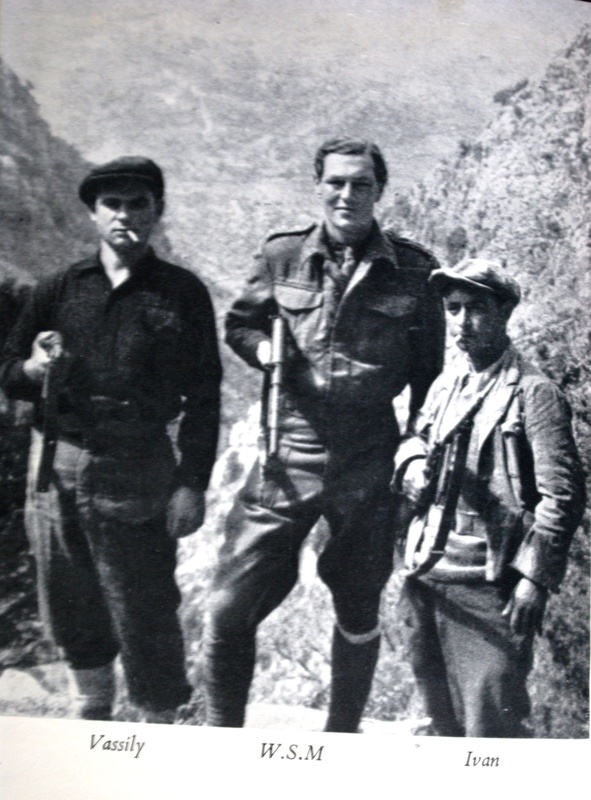 Chryssa Ninolaki, centre, with Stephen Verney, left, and her brother, Tassos. 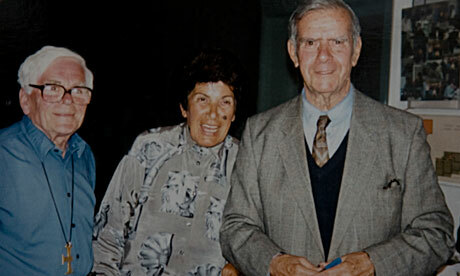 My friend Chryssa Ninolaki, who has died aged 80, played a courageous part in the struggle for freedom in Crete. She was a true ambassador for her native island, which she loved. At the beginning of the second world war, when Chryssa was a pupil at the French school in Chania, her family moved to her grandfather’s farm near the monastery of Chrysopigi on the outskirts of the city, to escape the bombing. 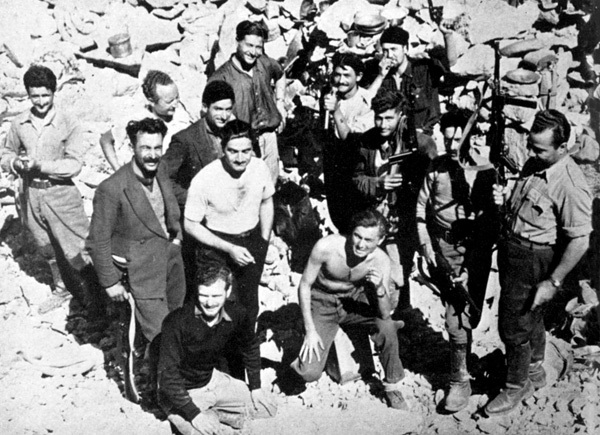 After the fall of the island in 1941, Chryssa and her family were part of the Greek resistance and supported the work of the Special Operations Executive agents who operated in the White Mountains, Xan Fielding, Patrick Leigh Fermor and Stephen Verney among them. Chryssa and her family spent the war living next to a German garrison. Her parents and her brother, Tassos, carried out acts of defiance at great risk. On one occasion, they moved a cache of arms buried in the orchard just hours before the property was searched. They became part of an underground network assisting, sheltering and hiding British and Commonwealth soldiers for escape attempts on the island’s south coast. “We are crazy people: we act first and never mind the consequences,” Chryssa once told me. After the war, Chryssa started to work for holiday companies, first the Travel Club of Upminster and then Simply Crete. She was a very different type of travel representative, freely sharing her beloved Crete with many British visitors. For the 50th anniversary, Chryssa took visitors on her celebrated Battle of Crete tours. A close friend reflected the feelings of many when she said: “For me, Chryssa was Crete. She brought so much joy to so many Brits.” Chryssa is survived by her sister, Helen. This entry was posted in Obituaries and tagged Crete, Greece, Patrick Leigh Fermor, Second World War, SOE on August 8, 2013 by proverbs6to10. 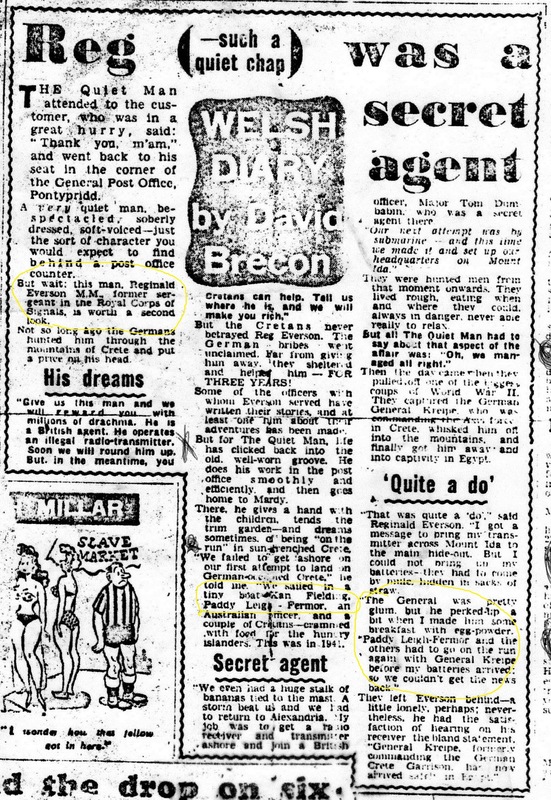 The Telegraph ran an extract from the biography over the weekend. 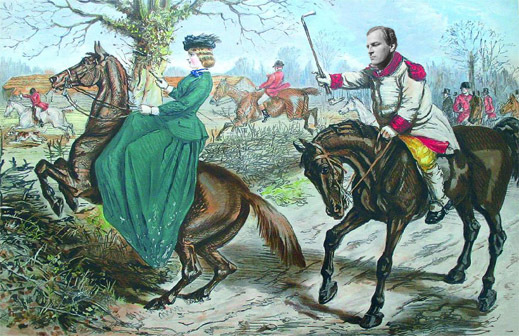 It was the Kreipe kidnap again! In an extract from her life of the travel writer and war hero Patrick Leigh Fermor, Artemis Cooper chronicles a daring kidnap in wartime Crete. First published in the Daily Telegraph 29 September 2102. 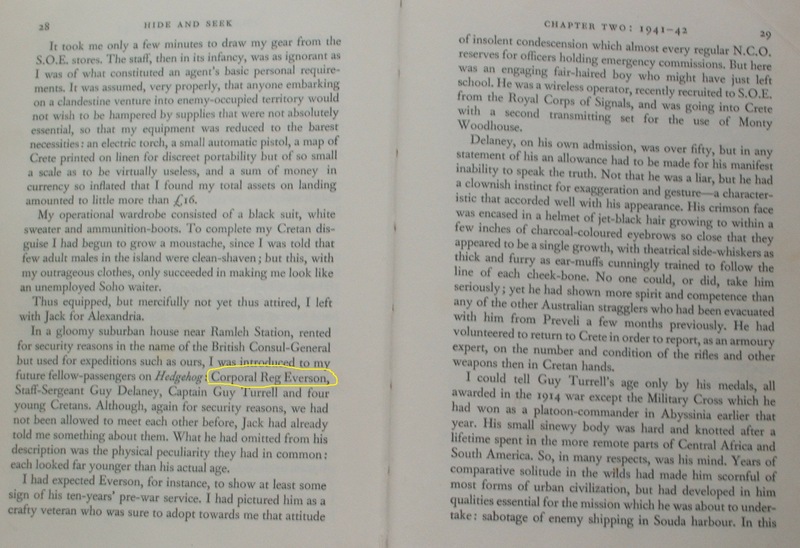 After months of training in clandestine warfare in Palestine, Paddy Leigh Fermor joined the handful of SOE officers in occupied Crete who were working with the Cretan resistance in June 1942. His big chance came in the autumn of the following year when he formulated a plan to kidnap a German general: not just any general but the hated Gen Friedrich-Wilhelm Müller, responsible for the butchery of the Viannos villages in September 1943. Supposing Müller were kidnapped and whisked off the island? At a time when Greece was beginning to feel like a backwater as the war pushed up through Italy, an operation of this kind would generate a lot of noise and publicity: it would make the Germans look remarkably foolish, and give a terrific boost to Cretan morale. Despite questions being asked about the mission because of the risks it posed to Cretan lives, the plan went ahead on January 6 1944. A car came to pick up Paddy and his number two, Billy Moss, a young Coldstreamer who had had a spell guarding Rudolf Hess, in the early hours of the morning, and drove them to Heliopolis where they met the rest of the party. They flew to an airstrip east of Benghazi, where they spent two miserable weeks in sodden tents waiting for the weather to clear. Since it refused to oblige, they were flown to Bari, hoping for better flying conditions there. On February 4 they took off from Brindisi for Crete, aiming for the Omalo plateau, a tiny, shallow bowl in the jagged, snow-covered peaks in the mountains south of Neapolis. For the pilot, the zone was so restricted that the team could not be dropped in a “stick” formation – he would have to circle and come in again four times, dropping each man off individually. Snow and loose cloud swirled around the open bomb-bay, and far below they could see the dropping zone marked by three pinpricks of light formed by three signal fires. Paddy was the first to jump. Welcoming Cretan hands hauled him to his feet, and then all eyes turned again to the snow-streaked sky. 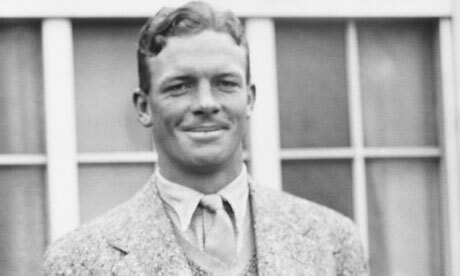 Paddy gave the all-clear with a torch to signal his safe arrival, but the clouds were thickening and the pilot could no longer see the signal fires: he was forced to turn back. 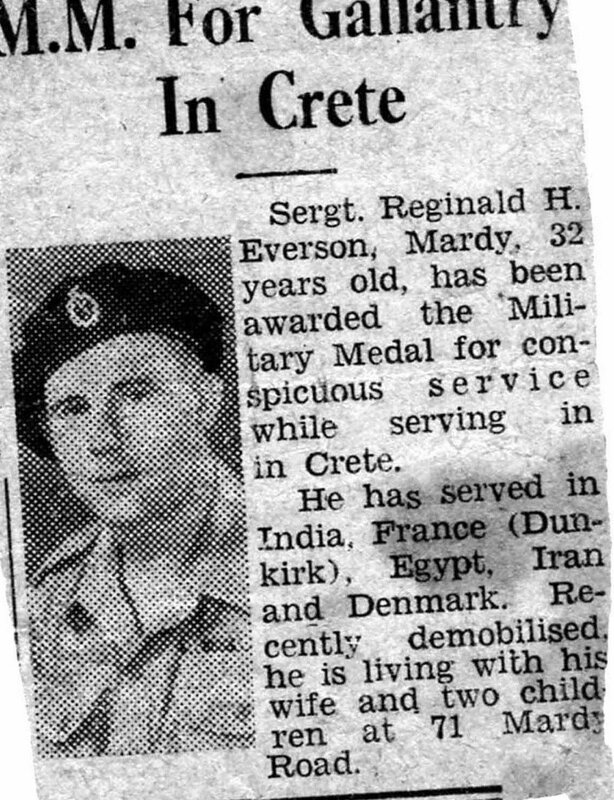 This entry was posted in An Adventure: Paddy's Biography by Artemis Cooper, Ill Met by Moonlight, Paddy's Friends and tagged Artemis Cooper, Crete, Greece, Ill Met by Moonlight, Major General Heinrich Kreipe, Patrick Leigh Fermor, Second World War, SOE, Special Operations Executive, William Stanley Moss on October 1, 2012 by proverbs6to10.